- burning fat without changing your diet. - helping you feel full longer. Be the first to experience Raspberry Ketones in a drop delivery system! Enjoy faster effects with up to 500% higher absorption rate than capsules. What Are the Typical Results? As with any dietary supplement, as we differ, so will the results. 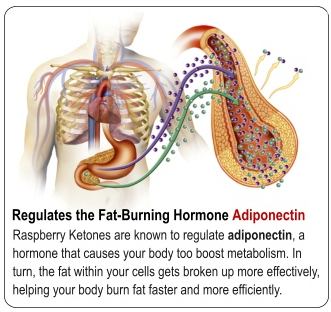 Taking Raspberry Ketones 30 minutes before meals may help you break through your weight-loss plateau. They’ll keep you feeling full, and block fat and carbs from being absorbed and turned into extra pounds. 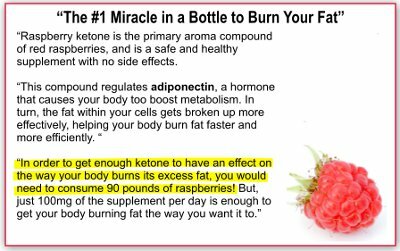 How Do Raspberry Ketones Work? These compounds are known to regulate adiponectin — a hormone that causes your body too boost metabolism. In turn, the fat within your cells become broken up more effectively, helping your body burn fat faster and easily . Why are HCG + Raspberry Ketone Drops by Wellgenix so good? The HCG drops are pain-free and easy to take! Just drop them under your tongue, hold for 30 seconds and you're done. And they're easy to carry around with you. Plus, the drops are more effective than the pill forms because they enter the blood stream quickly and do not get affected by stomach acid like the pills do. HCG + Raspberry Ketones with a unique blend of amino acids. The Latest Diet Miracle! Immediate, Rapid Weight Loss! It's in the news & magazines everywhere! People all over the world swearing about a miracle weight loss plan called HCG + Raspberry Ketones. Lose weight & feel amazing about yourself! Fortified with Amino Acids to increase the effect even more. With added specially researched blend of Arginine, l-Ornithine & l-Carnitine, which all work synergistically well together. A recent study shows the Arginine can prevent weight gain & improve cardiovascular relaxation and circulation. Ornithine is a non-essential amino acid helps build muscle & reduce body fat, especially when combined with the amino acids l-Arginine and l-Carnitine. Ornithine is also needed for the formation of Citruline & Proline - amino acids that help supply energy to every cell in the body. Suggested Usage: Take 20 drops under tongue three times daily. Hold under tongue for 30 seconds. Take 30 minutes before meals. Caustion: Do not exceed recommended dose. Pregnant or nursing women, children under the age of 18, and individuals with a known medical condition should consult a physician before using this product. Bought this product before, always does the best job. Love the taste and the quick awesome results!! Lost 10 lbs in first 8 days!! I have been using this product for over a year and have maintained my weight. Wellgenix HCG/Raspberry Keytone drops the best! Love this product! Did P2 for 28 days and lost over 25 pounds. Was worried I would be starving but was never hungry. At P4 now and am eating healthy and delicious now. Followed P2 to the letter. Only had to do one protein day in P3. Must weigh yourself everyday. (I’m a little OCD anyway) Love the new me.